HootSuite For Blogger - Install the App Now! Probably one of the best things about blogging in this age has to be the level of automation you can get nowadays. Long gone are the days when you even had to add html styles in your posts by hand. It is amazing how easy things have become today. You might already be familiar with social media automation, and how you can cross-publish your posts across multiple platforms. 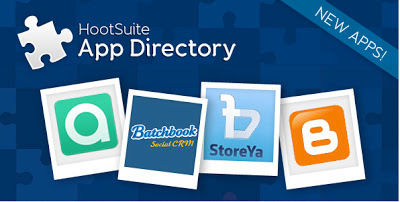 HootSuite is one application that's pretty well known in this regard. Well, now there's good news for bloggers! HootSuite has finally been integrated with Blogger! Now, you can automate the whole blog posting process right from where you manage your social media! HootSuite is a very popular application that connects with all your social media profiles, such as Facebook, Twitter, Google Plus, and so on, and amalgamates them all into a single dashboard from where you can update them easily. It gives you powerful features, such as scheduling your posts, cross-publishing on multiple platforms, and more, all from the convenience of a single browser tab! This functionality has now come to Blogger! You can now update to Blogger, and more, right from your HootSuite dashboard! I, for one, was really looking forward to a solution that'd allow me to create and manage Blogger posts right from where I manage my social interactions. Now that this feature is finally here, let us look at what you can do with it. View content - You can view all your published content, posts, and even pages right from HootSuite. You can also see the comments on your posts and pages. Create posts - As mentioned already, you can create and edit your posts in the stream. No need to visit Blogger separately for managing your blog posts. Share content - What better way to share your blog posts than on social media right from the number one social media manager? You can use HootSuite to easily share your posts and pages to your connected social media networks. Multiple blogs - Instead of just one, you can monitor multiple blogs that can be affiliated with different accounts. You can connect blogger simply by signing into the social media management dashboard that is HootSuite, and then adding Blogger easily from the dashboard. Alternatively, you can visit HootSuite's app directory, and click on the "Install App" button right below the Blogger icon. HootSuite also held a Google+ hangout on the 28th, where they talked about Blogger integration with HootSuite, and also gave a live demo. MBT was especially invited for this event. And it was pretty informative, especially since there was a Q&A session at the end, where people asked some useful questions. Here is the link to the hangout.